Lifts don't work all the time. Had a terrible issue with the mailbox issue until leasing office started accepting mails. Service requests are always late, not once have they been on time. Despite these, I love this community and really enjoy staying here. The staff is very receptive and warm unlike other grumpy communities. 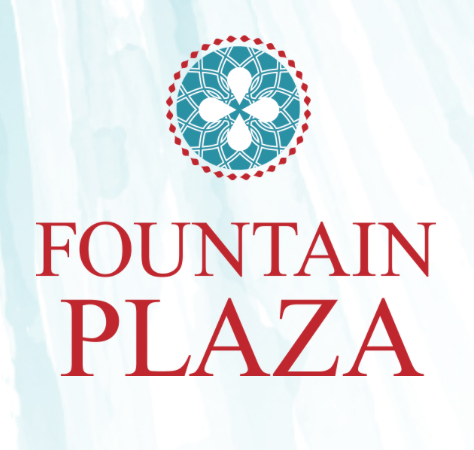 We have been very happy so far with Fountain Plaza. The apartment is very quiet, especially considering how close it is to the airport and freeways. The people that work at Fountain Plaza (reception, maintenance, and mailroom) are extremely nice and helpful. The only complaints I would have are the numerous water shut offs, 3 in the last month or two, Another complaint would be how dirty and inconsiderate some tenants are in regards to disposing their trash and recycling. The apartment itself is beautiful. However, i doubt we'll renew our lease. This isn't the apartment we wanted, but when the tenants of the apartment we originally leased wouldn't move we got placed here. We were supposed to be in the main complex not the lofts. There is no elevator. The oven is a pain to work. The maintenence staff are completely unreliable. You're lucky if you get them to come weeks after you put in a ticket. I hate that there is no overhead light on fan in the main room, it's a really hard room to light. Only have been here since December and so far we have enjoyed our apt...Asia has been great to work with. The only complaint is the garbage issue we are on the third floor and there is always stacks of boxes..bags..etc. But overall i give the complex a 3. I used to feel like it was five stars, and although the gym and common area were upgraded, the fountains, trash cans, stair wells, hallways, and parking garage have all become much less maintained. The room attached to the gym used to have a constantly clean floor for three years, for the past year it has had constant dust bunnies, hair, and dirt. Our apartments need new amenities badly. My dishwasher hasn't worked for four years, my washing machine screeches, my ceiling fan needs to be tightened every month or it wobbles loudly through the night. In conclusion, better cleaning and new appliances would go a long way. Minus one star for the sucky garage and the fact drivers drive too quickly, you guys should put up "slow" signs! Otherwise I love living here! Community is very nice and peaceful all the amenities and facilities are working awesome!! gym, jacuzzi, swimming pool as well as the staff working in the plaza is very nice. Recent inprovements have been noted, such as more community events, Thursday night food trucks and more. Security continues to be an issue for us in building 6. The renovations to the apartment complex are great. The staff is super friendly. I appreciate the office moving the mail boxes to inside the office for ease of access. The best thing about the community is great ambience. The great facilities by the office. They are cooprative. I being a student love the facility of easy access of mails, package collections and print out. its a good resistance to stay nice community good staff everthing is good They have all facilities any problem they ill intimate us before . Perfect place to live. All the amenities are above expectations. The security is top class. The prople in the community are very welcoming and affectionate. Have lived here over 2 years and I love it here. The staff is friendly, the complex is beautiful and I love all the amenities and the location to my job and my kids school is perfect! The community is very good and very well managed. The whole team will always keep you in the loop with current problems and ways they are trying to improve. The situation with the water and frequent water shut offs are really inconvenient. I do like the effort that has recently been made to patch up the holes in te ceilings more quickly. The apartments and community is good. May be cleaning of the doorways would be great. doorways just outside home is mostly dirty. Events and food trucks feels great.